James Best is famous for all of the wrong reasons. The world knows him as the goofy Sheriff Rosco Coltrane on the 1980's hit television show, The Dukes of Hazard. However, the world does not know him as the great actor he once was. 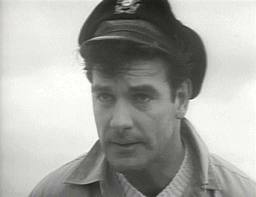 In his youth, James Best made memorable guest appearances on some of the top television shows of the time. However, he did more than just appear on show after show. He stood out. With numerous appearances on Gunsmoke, Alfred Hitchcock Presents, The Twilight Zone, The Andy Griffith Show and Have Gun Will Travel just to name a few, James Best proved time after time that he had star quality in all of his guest starring roles. Many of these old shows are available on DVD and I urge you to seek out the episodes that feature James Best. You will find that he had leading man looks, great character instincts and a talent that should have made him famous.